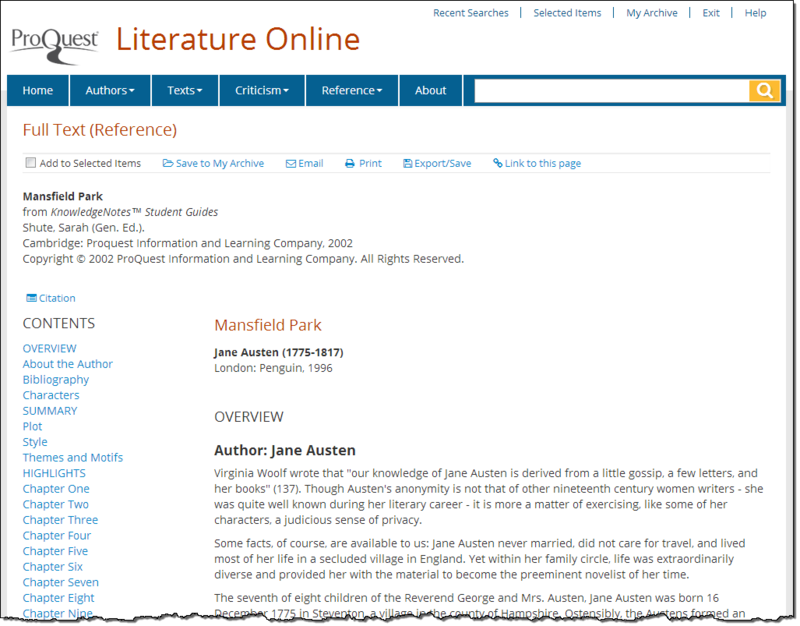 A guide to all aspects of Literature Online (LION) including content, searching, and viewing results. You can use the KnowledgeNotes™ Student Guides browse to find resources which give a critical overview of a particular text. The top level of this browse lists individual entries by author. Scroll down the list of authors or use the A-Z links at the top to jump to author surnames beginning with a particular letter. 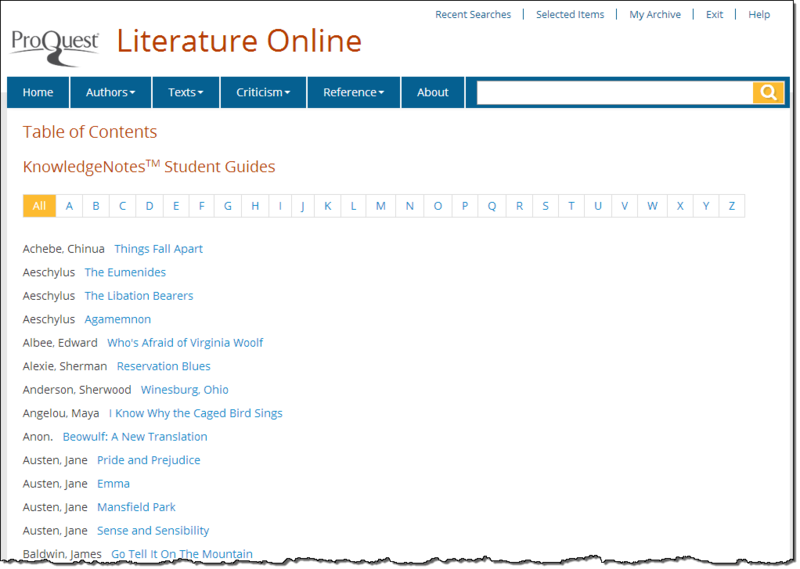 Click a title in order to view the full text of a Student Guide.